Futuristic Lightweight Boat - Fly Fast In Water ! 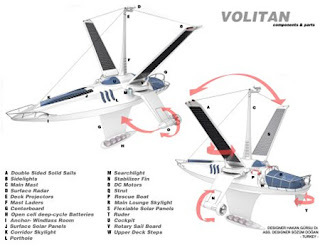 Earlier we have discussed about a walk able boat that is for exercising in the boat itself. 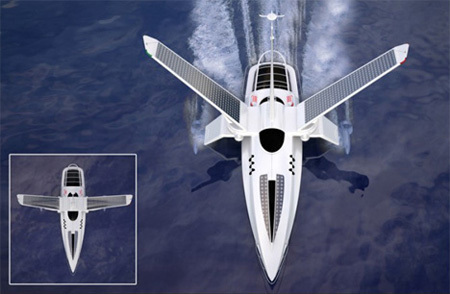 Today we have gathered for our viewers a futuristic lightweight boat concept. 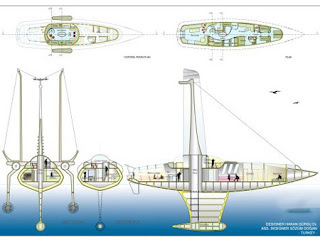 That has been designed incredibly. The name of the boat is Volitan or the Flying Fish. 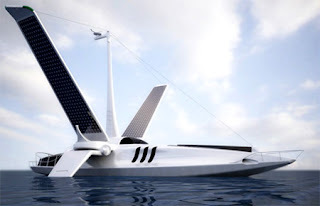 This is the next generation boat, which is fully equipped with double layer solar cell panels, and we can use this with wind and solar power. Boat’s shell is a made up of carbon fiber and is covered with ultra violet resistant coating. 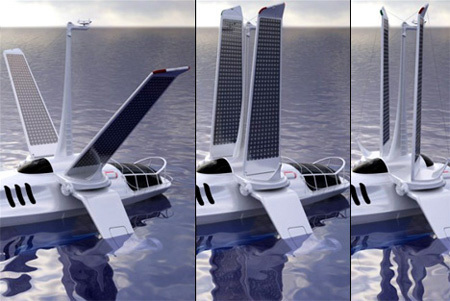 It is powered by a twin 220 HP/DC electric motor with two suspended wings.